Welcome to the movies. Bloopers is a long-awaited 5-reel hit from the games developer Elk studios. With their continuous focus on top quality over quantity, this title does not disappoint. This is a game for the experienced player but also friendly for players new to gaming. For more slot games like this click here today! Bloopers has gained many reviews for its outstanding and unique format, along with great technical features based around star like characters and a highly entertaining minion backstage crew. This is both an unusual and unique title that stands apart from other games but with good reason. If you like something a bit different then this title is for you. The Swedish based company Elk studios are renowned for their title quality and take the online gaming experience to new highs. 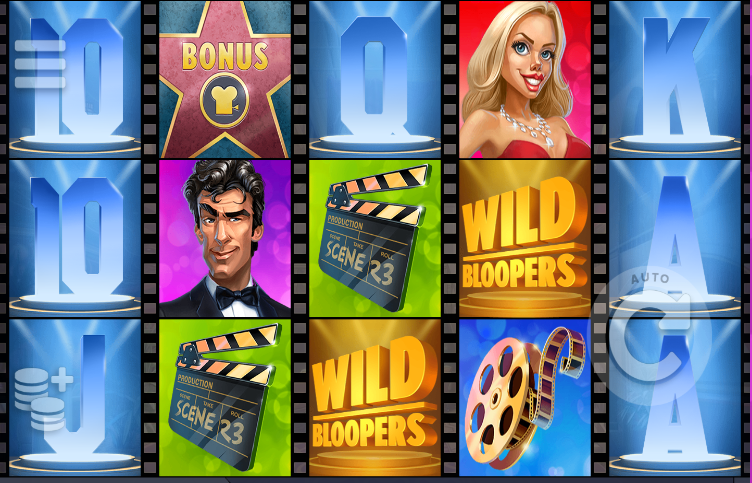 Casino fans have long awaited the release of a new title from Elk studios and Bloopers really does not disappoint. With their attention to detail and focus on gaming feature quality, Bloopers is five star; standing out as one of the best! View the 666 platforms for a wide variety of unique, high-quality games, and have a blast trying them out. At first this game may come off as complex, however, you will soon get to grips and notice that this is just an outstanding set up in an easy to play format. All players can access this game despite experience levels. Along with fantastic visuals, the audio facility is brilliant and the background theme is laced with stars and behind the scenes camera men keeping the show going. Play at your level with your minimum bet at £0.25 raising up to £100. There are SCATTERS throughout. Your academy award style experience shows 3 rows of film style symbols packed with Hollywood memorabilia. Lower paying symbols follow a generic theme showing A, K, Q, J and 10. WILD - Your wild symbol is the gold Bloopers symbol. This golden award substitutes for all other symbols outside of the bonus symbol, excluding the scatter. It’s quite the award! BONUS - The bonus symbol is represented with stars relating to the characters at the academy awards featured within this game. With a Marilyn Monroe look alike, you may recognise quite a few famous faces. 3, 4 or 5 of these stars creates the free spin bonus game and makes way for even more free spins! It’s like walking the hall of fame to your star moment. 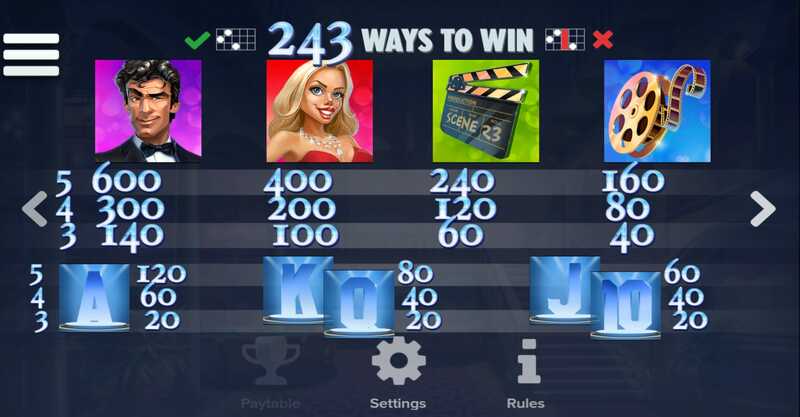 As with the unique nature of the developer, the unique strategy option feature sets Bloopers apart from other slots games allowing for play that is stylised according to each player making playing easy. It is not hard to see why this is such a long-anticipated title for Elk Studios. 666 are proud to host this title as one of the most unique and entertaining out there. Players love this game and the full Hollywood studio experience. If you want to have a similar cinematographic experience, why not try Blood Suckers.